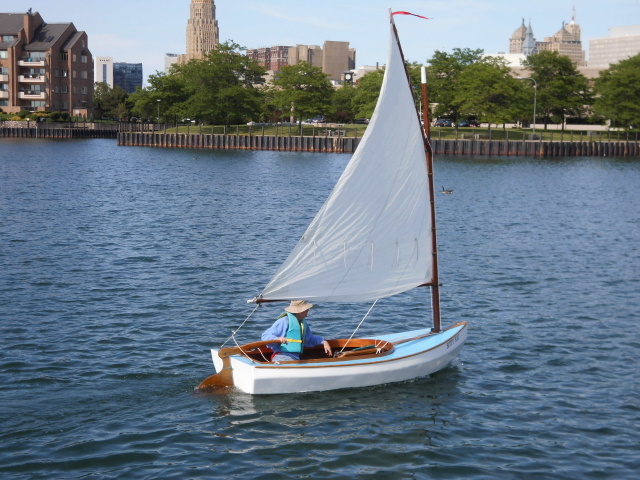 Relaunchings----This is a 10ft 5 inch catboat I built from a kit in 2000 from a boatbuilder that is no longer in business, (Upper Deck Boat shop). 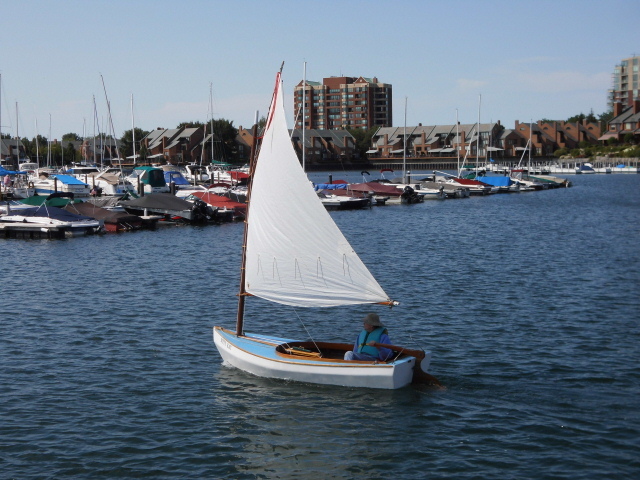 I had it in Mystic in 2000 for the WoodenBoat Show. Sapelle ply and mahogany coaming and kingplank Doug fir spars, bronze hardware, I traded it around 2005 for a 27ft W. Atkin skipjack schooner. That man sold it, and it ended up in Detroit MI. where a woman bought it for her nephews. But the kids dad sold the lake house and the boat sat for a few years, untill I found it for sale on Craigs List Detroit, looking for other boats. 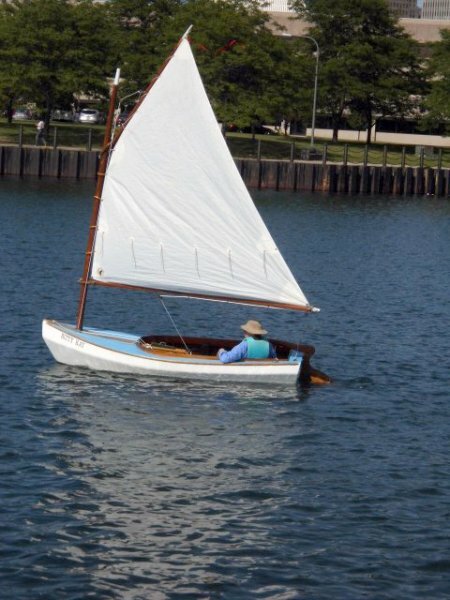 I inquired and bought it and fixed all that needed, repaired and leathered broken gaff jaws, warped dagger board, made a new mast, re-varnished all bright work. And made many repair from a few years of neglect or non use. The Dabbler sail is like brand new.